View cart “Programmatic is Coming to Local TV in 2017” has been added to your cart. The insight report “Programmatic Is Coming to Local TV: 2016 Mid-Year Update” examines the promise of programmatic advertising in local TV. 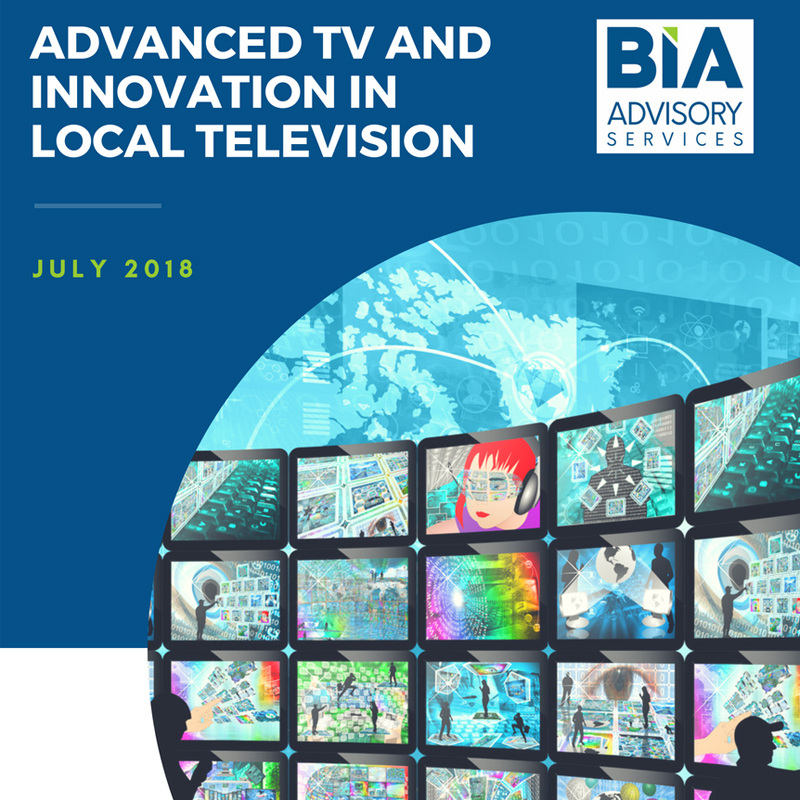 It explores how the adoption of programmatic in the national TV market holds clues to what will drive programmatic ad buying at the local level. This report features interviews with a panel of industry experts drawn from agencies, data firms and platform companies. 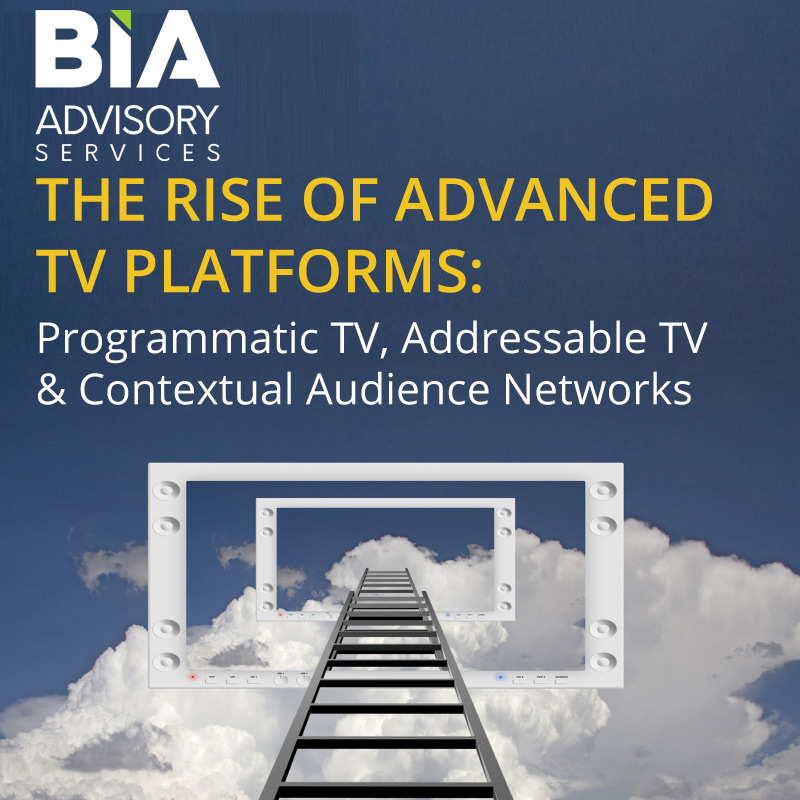 Read this report to examine the efficiency programmatic can bring to the buying and selling of TV inventory and identify potential impediments to success. 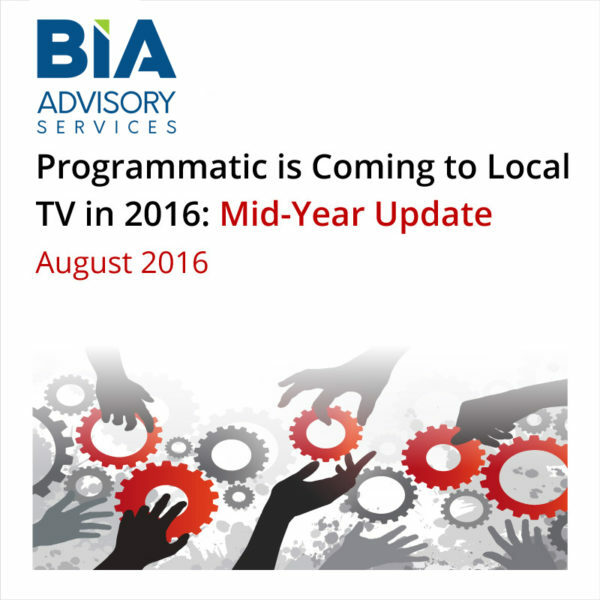 The potential of programmatic advertising in local TV is detailed in the 28 page paper, “Programmatic Is Coming to Local TV: 2016 Mid-Year Update.” The report focuses on the area of programmatic advertising in local television by incorporating information about national TV, where there currently is strong activity. 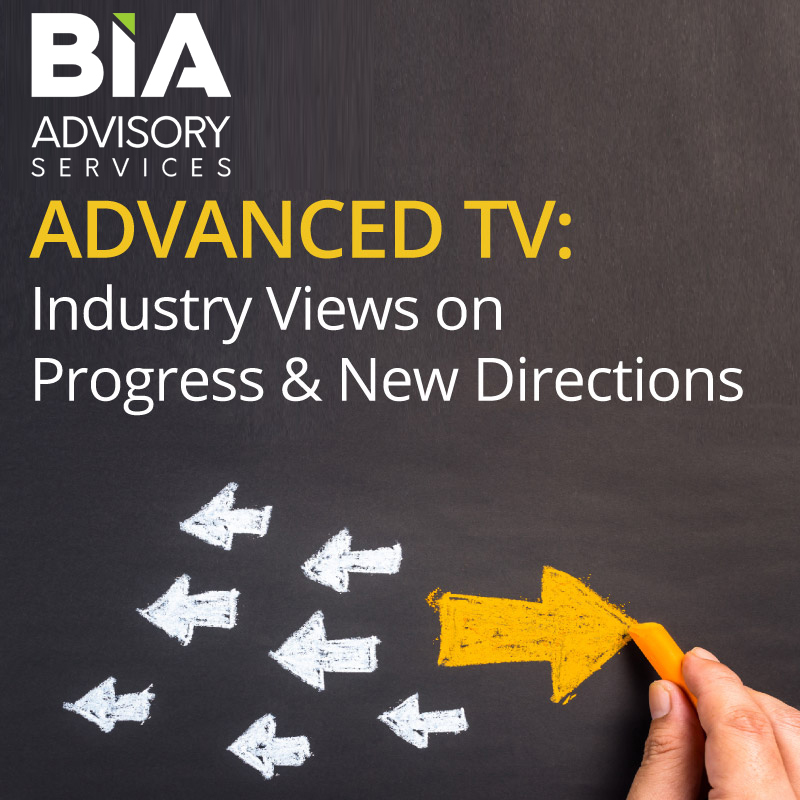 According to the report, BIA Advisory Services expects no more than one to two percent of the local spot television market (estimated by BIA to be worth $21.9 billion) to trade programmatically in 2016. However, the firm’s analysts believe that can ramp relatively quickly, if local follows the example set by the national television market. 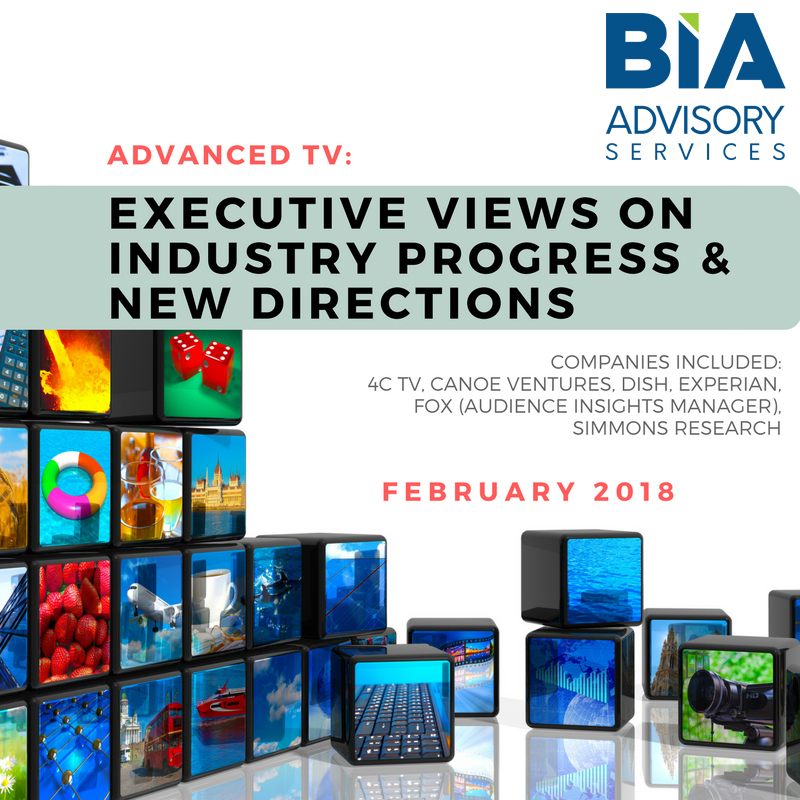 The report also highlights current programmatic platforms including: 4C, Acxiom, AdMore, AudienceXpress, Cadent Network, Clypd, comScore (Rentrak), Epsilon, Experian, Mediaocean, NCC’s Audience Plus, Nielsen, One by AOL (formerly AdapTV), placemedia, Rocket Fuel, Sinclair Broadcast Group, TiVo/TRA, The Trade Desk, TubeMogul, Videa, Videology and WideOrbit.